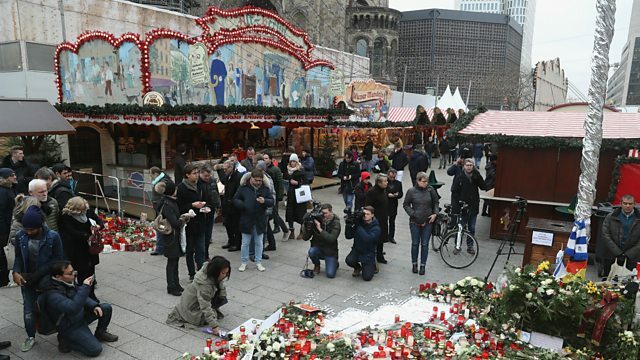 The fingerprints of the man believed to be behind the Berlin market attack have been found on the lorry which was driven into the stalls. Peter Neumann, from the International Centre for the Study of Radicalisation at King's College, London, says the suspect was linked to a radical Islamist network in Germany. Also on the programme: the chairman of the Philippines Commission on Human Rights, Chito Gascon, on his attempts to investigate President Duterte's claims that he personally killed several drug suspects when he was mayor of Davao. Plus the Canadian city of Vancouver and its problem with people overdosing on synthetic opiates.